OMG, I can’t believe no one has posted this here yet on ClarionHub. You all know about the previous CIDC conferences yeah?! Well… those wonderful folks at ClarionLive are doing it AGAIN! Early Early Early Bird Special Ends March 31st!! CLICK HERE TO REGISTER NOW!! Is everyone in Florida yet?! Who is going to live tweet the events, share some pictures here on the hub… please, please? I am not there this year but I would still love to hear the gossip. Have fun everyone! I remember a few years back that @d.harms opened up a section on ClarionMag to host public content. ClarionHub is very happy to provide space for such a thing this time around if anyone is interested to post. 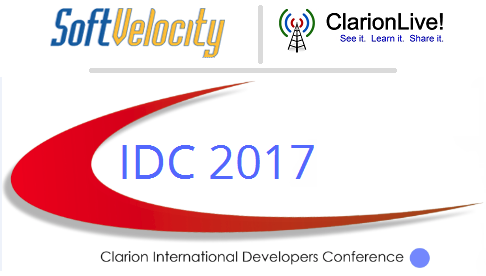 Do you want a dedicated CIDC 2017 category here on ClarionHub? Ohhhh, I just noticed that CIDC 2017 appears to be planning to live stream some events to YouTube!